When you export video, you may have encounter the term "bitrate" once in a while. Then you are confused about what is bitrate exactly? Is there anything to do with my video quality? Don't worry. In fact, there are so many readers like you have this doubts too. In this article, we will let you know what is video bitrate, the relationship between video bitrate and quality. In the end, we will give you a bonus about how to change video bitrate. Continue reading! Part 1: What is video bitrate? Bitrate is the number of bits per second. The symbol is bit/s. It generally determines the size and quality of video and audio files: the higher the bitrate, the better the quality and the larger the file size because File size = bitrate (kilobits per second) x duration. In most cases, 1 byte per second (1 B/s) corresponds to 8 bit/s. 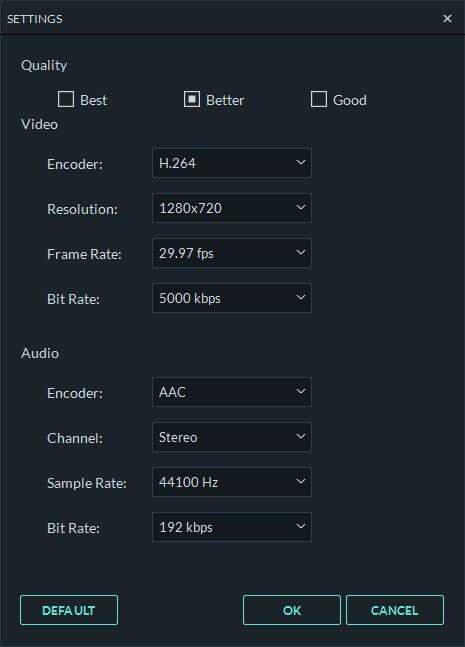 Part 2: Higher video bitrate, higher video quality? In general, a higher bitrate will accommodate higher image quality in the video output, only when comparing the same video with the same resolution. Bitrates should be expected to go up whenever the resolution goes up, as more data is being processed. Therefore, high video bitrate may provide excellent quality, but it can also place a major strain on your hardware which can result in stutters. According to the offcial YouTube help document, recommended video bitrates have two sets of standards: SDR uploads and HDR uploads. To change the bitrate of video files, you can use Wondershare Filmora9. It features an extensive media format support and a user-friendly interface so that you can change the bitrate of your media files quickly and easily. Here you’ll find a detailed instruction on how to change bitrate of video files. You can also easily change audio bitrate. Install and run Video Editor. Then click the “Import” button to locate the file you want to change bitrate on your computer and click “Open”. You can also drag-and-drop file to Video Editor right from the Windows Explorer window. Then drag and drop your video or audio file to the Video or Audio timeline. Click EXPORT and then choose your desired video or audio format. If you want the finished file to play on a mobile device like iPhone, iPad, iPad, Zune, click the Device tab and find the appropriate device in the list of presets. Then click SETTINGS. In the window that opens, you can change aduio parameters such as encoder, sample rate, channel, and bitrate and video parameters such as encoder, frame rate, resolution and bitrate. To change the bitrate, just choose the required value from the bitrate list. Tip: If you want to reduce the size of your media files, you can lower the bitrate. But do remember that this will lower the quality. So you should find a balance between size and quality that gives you the best of all worlds. 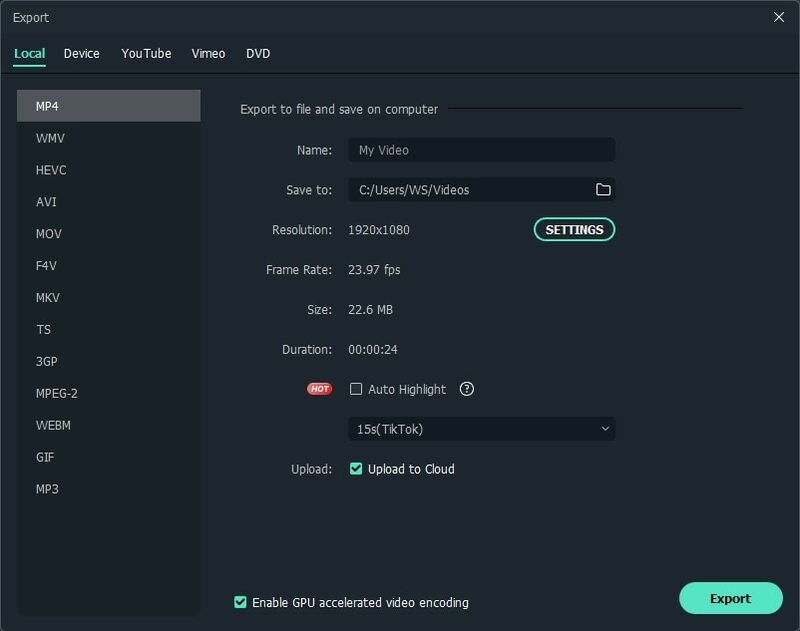 If you are interested in more information about this, check out our guide about how to reduce the size of video files. Before launching the exporting process, specify the folder where your new file should be saved. 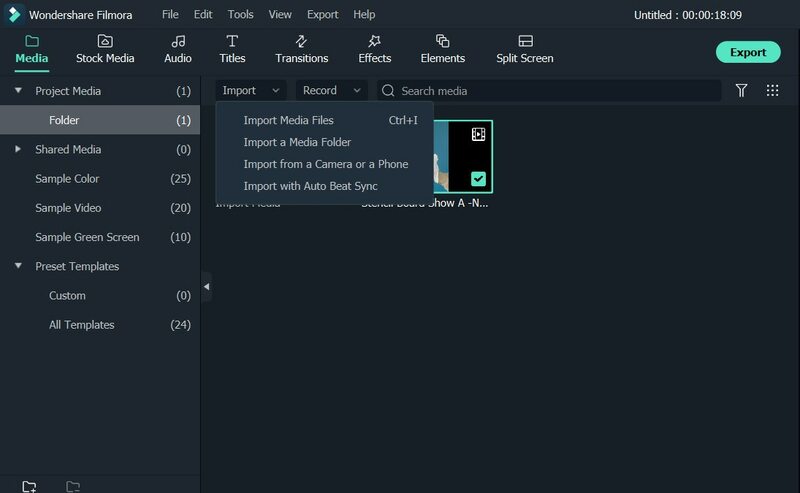 Then click EXPORT button and Video Editor will start processing your files. When your conversion process is completed, click the Find Target button and the specified folder containing your ready-to-use file will open. Then you can transfer the files to your portable device and enjoy your favorite video or music anytime, anywhere!